Teeth that have been affected by decay, disease or damage require extra help to remain healthy and intact in your mouth. Dental fillings are a sort of “tooth armor,” adding strength, durability and protection. What are dental fillings made of? 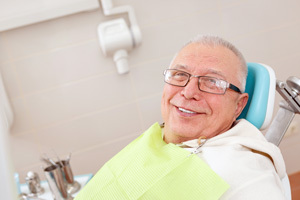 There are many types of dental fillings available, depending on your specific needs. Older patients likely received amalgam fillings (the metallic type) as children. However, today’s modern dental fillings are “white fillings”, made of durable, biocompatible composite resin. Composite dental filings are available in a range of tooth colored shades and are virtually indistinguishable from natural teeth. If you have a traditional amalgam, or metal filling, you may choose to replace your dental fillings with more comfortable and attractive white fillings. Just ask! When are dental fillings recommended? Dental fillings are a conservative treatment used to preserve the natural tooth. After a root canal, a dental filling may be used to protect the tooth from future damage or decay. Dental fillings may be used instead of a dental crown when teeth are not significantly compromised by decay or damage. What’s the difference between composites, inlays and onlays? Composite dental fillings use composite resin, which is applied directly to the tooth and sculpted into shape. A dental inlay or onlay, often used when damage is a greater concern, covers the biting surface of the tooth, like a dental filling, but is made of porcelain and bonded to the tooth. Copyright © morganhauptdentistry.com 2019. All rights reserved.